The aluminium futures contract traded on the Multi Commodity Exchange (MCX) has been going through a strong uptrend since May. The contract has risen some 21 per cent from its low of ₹101.25/kg recorded in May. A fall in global production coupled with an increase in demand for the metal has helped this commodity to vault higher. On the global front, the spot price of aluminium on the London Metal Exchange has surged 15 per cent from its May low of $1,714 a tonne to $2,013. The outlook is bullish with strong support at $1,850. A rally to $2,100 in the short-term and $2,200 or may be even higher levels in the medium-term looks likely now. The MCX-aluminium which moves in tandem with the global price is also expected to rise. 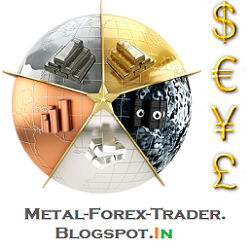 This offers a good buying opportunity in MCX-aluminium for traders. Short-term view: The short-term trend in the MCX-aluminium futures contract is up. The price action between July 22 and July 30 suggests a formation of a bull flag pattern within the overall uptrend. The sharp rise on Monday signals the beginning of a new leg of up move in the contract. Immediate supports for the contract are at ₹122 and ₹120.5. While the contract trades above these support levels, there is no immediate downside threat. Traders with a short-term perspective can initiate fresh long position at current levels. Stop-loss can be kept at ₹120 for the target of ₹128. The 21-day moving average at ₹119 is a key short-term support for the contract. The outlook will turn bearish only if the contract records a strong close below this level. The ensuing target in such a scenario will be ₹117. Medium-term view: The medium-term outlook is bullish for the MCX-aluminium futures contract. The strong down-trend that was in place since August 2013 has got reversed decisively. Additionally the contract has breached an important trend-line resistance at ₹122 this week. A strong weekly close above this level this week could reinforce the bullish momentum. Key medium-term support for the contract is at ₹114. A rally to ₹132 looks likely in a medium-term time frame. The outlook will turn bearish if the contract declines below ₹114. In such a scenario the contract can decline to test ₹102.